Welcome to Sport & Recreation Alliance! Please click below to register an account with Sport & Recreation Alliance. To manage someone else's membership you must first create and account with Sport & Recreation Alliance. Once logged in use the tooltips to guide you through the process of adding athletes and purchasing memberships. Please enter an email address and create a STRONG password. Your data is valuable so please take password creation and use seriously. The email address and password you use will enable you to log into the Sport & Recreation Alliance Platform and manage your and multiple other memberships. Select to see details and price. Please complete the following membership form providing as much information as possible. Please indicate the legal status of your organisation. Do you produce annual accounts? How many clubs do you have as members? How many individuals do you have as members? At what level are your operations primarily focused? Why do you want to join the Alliance? Please provide details of any other relevant affiliations. Please add any further details. Please complete this page as fully as possible as this will help us support you via social media. We annually send our AGM invitation by email. Please tick if you would like to opt out from receiving AGM invitations electronically and would prefer to receive via post. 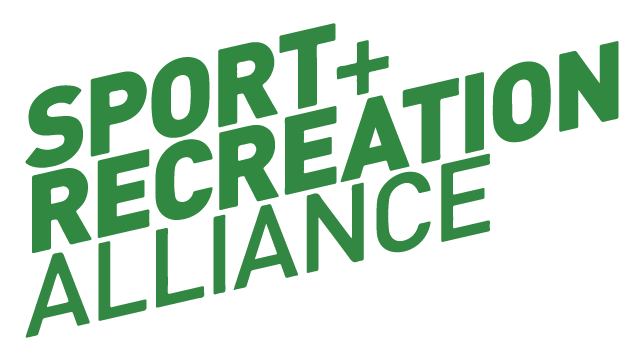 The Sport and Recreation Alliance seeks to protect, promote and provide for its members. Should your organisation be accepted into membership of the Sport and Recreation Alliance, by completion of this form your organisation is agreeing not to bring the Sport and Recreation Alliance or any of its members into disrepute in any way, shape or form. The Sport and Recreation Alliance reserves the right to refuse any membership application.